In Asian & darker skins, post acne scars or Atrophic scars are often left, long after the Acne has subsided appearing as holes in the face.The skin can be smoothen using Dermarollex® 0.5mm and Scar Repairex® Ultra. 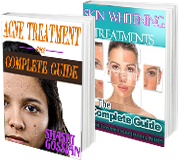 In order to smoothen the skin, a more rigorous treatment has to be done for a fast & effective result. Apply Emla cream on the face. After 10 minutes, gently wash & pat dry. (you can buy Emla cream or any other anaesthetic cream from any pharmacy). Using the Dermarollex® 0.5mm, roll the skin with sixteen passes over the affected skin. This has to be done on alternate NIGHTS only. 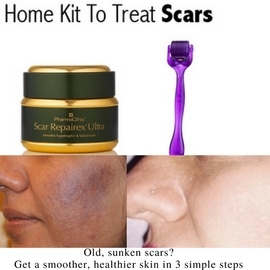 After the dermarolling, gently massage Scar Repairex® Ultra cream over the treated skin. Massage Scar Repairex® Ultra cream again in the morning. Wait ten minutes, then apply Sun Blockex® spf 50 sunscreen to protect the treated skin during the day. It may take upto 16 weeks for visible improvement. We recommend you take photographs every month in order to assess the progress more objectively. 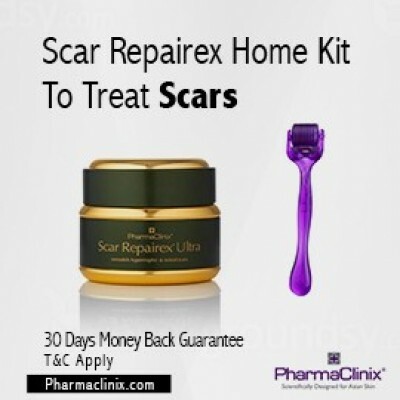 The Scar Repairex Kit contains Dermarollex® 0.5mm & Scar Repairex® Ultra cream (30gm jar).